Spiced – Oven Baked Potatoes and Baby Carrots. A really easy and delicious recipe! See the recipe here: Spiced – Oven Baked Potatoes & Baby Carrots – Lovefoodies. 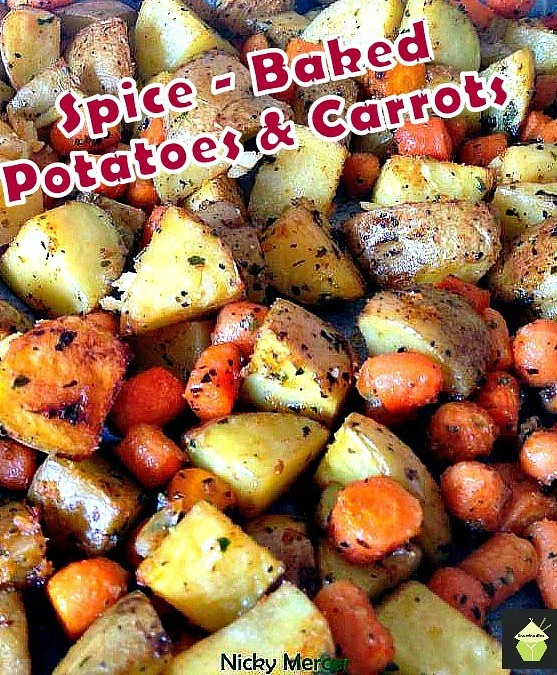 Categories: Sides | Tags: baked, carrots, easy, potatoes, spice | Permalink. 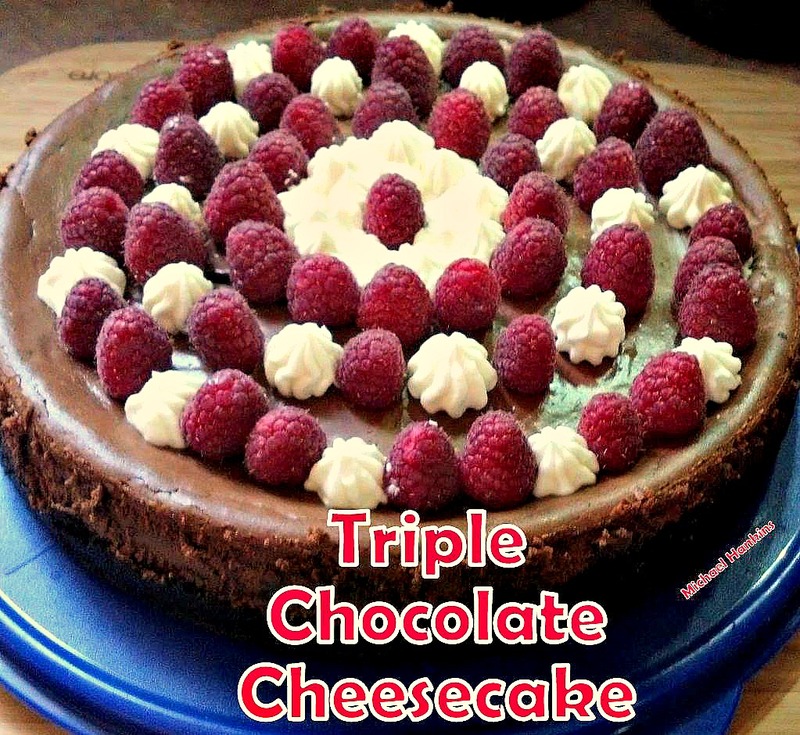 Triple Chocolate Cheesecake with a wonderful frosting and decorated with fresh raspberries. Lovely! 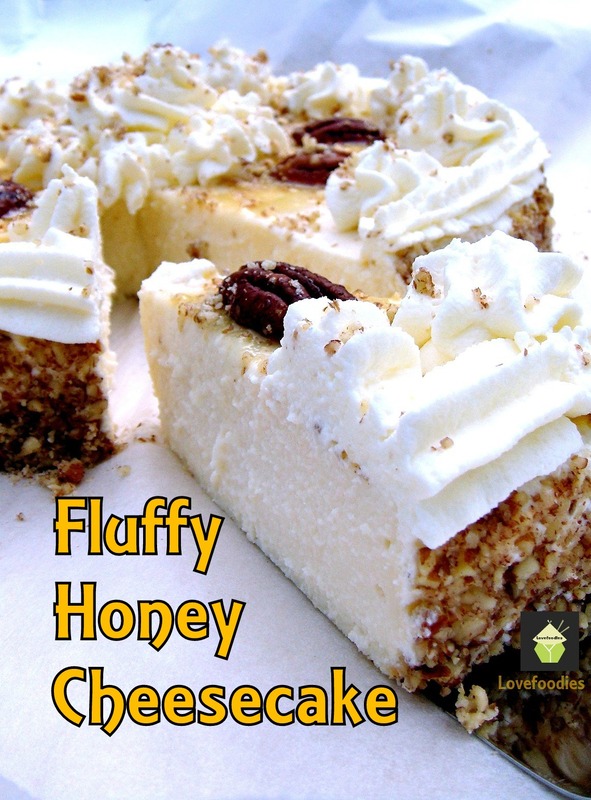 Categories: Cakes, Desserts | Tags: baked, baking, cake, cheesecake, chocolate, how to make, ingredients, lovefoodies, raspberry, recipes, triple | Permalink. Creamy Dauphinoise Layered Potatoes I love this as a side dish. It looks really nice on the plate and the flavours are wonderful! (of course I have garlic in mine!) You can use milk or cream, up to you, real easy, delicious and something different from your every day taters! Categories: recipes, Sides | Tags: baked, Cooking, Creamy, Dauphinoise, easy, how to make, ingredients, Layered, lovefoodies, oven, potatoes, recipes, scalloped | Permalink. Nanny’s Special Mac n Cheese. Anyone who know’s Nanny Pat’s recipes will know they are all made with love and are tried and true recipes her family always adore. This mac n cheese recipe is of course no exception! There’s a reason two pieces are missing from the photo. Come and see why! Nanny’s Special Mac n Cheese – Lovefoodies hanging out! Tease your taste buds!. Categories: Main meals, recipes, Sides | Tags: baked, cheese, Cooking, easy, how to make, ingredients, lovefoodies, mac n cheese, macaroni, oven, recipes | Permalink. Oh Boy! These Cola Ribs need no introduction! Categories: Main meals, recipes, Sides | Tags: baked, Beef, cola, Cooking, easy, grilling, how to make, ingredients, lovefoodies, oven, partyfood, pork, recipes, ribs, sticky, sweet | Permalink. Here I made NANNY PAT’S Baked Egg Plant as my side dish…I’m not a huge egg plant fan but I wanted to give it a go, and oh yes, it was wonderful. I took a pic for you to see, and I had garlic mayo and a sweet chili sauce. It was crispy outside and juicy soft inside, definitely will make this again, and real easy to do too! Categories: recipes, Sides | Tags: aubergine, baked, cheese, easy, egg plant, how to make, ingredients, lovefoodies, oven, recipes, side dish | Permalink.